This week as we look forward to our Slinging In The Rain Christmas party, I find myself looking back fondly over the past six years to when Slinging In The Rain was just a few of us passionate babywearing Mamas meeting up in each other's living rooms to share slings, endless cups of tea, and of course cake. I remember our now almost seven year olds napping contentedly on a pile of cushy wraps strewn across my living room floor. Those meets soon grew, and outgrew our living rooms. 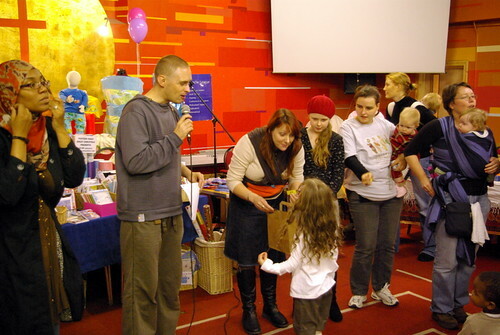 That's when Ian and Rachel Spence found us and offered us a meeting place at Levenshulme Baptist Church. We've been really very happy there ever since. 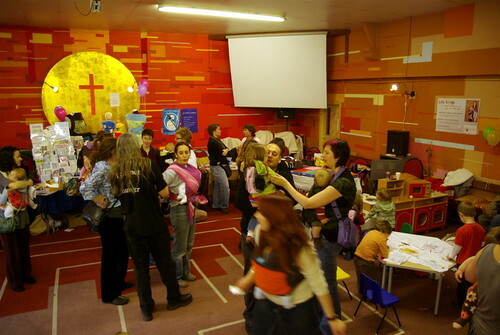 We've held our regular monthly meetings there, had workshops, and guest speakers, and held our first Babywearing Day there back in 2008 to celebrate International Babywearing Week. I'm looking forward to this weeks party, and also to 2012 which will bring new adventures as we move the Slinging In The Rain sling library to Glo Family in Cheadle, and as we start our Sling School classes. 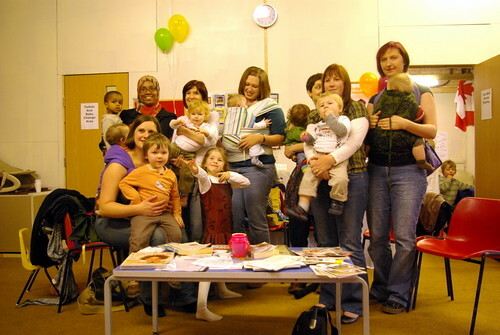 Who knew back when we were drinking tea and chatting slings back in 2006 that babywearing would have come so far, and we'd have made so many wonderful friends ? 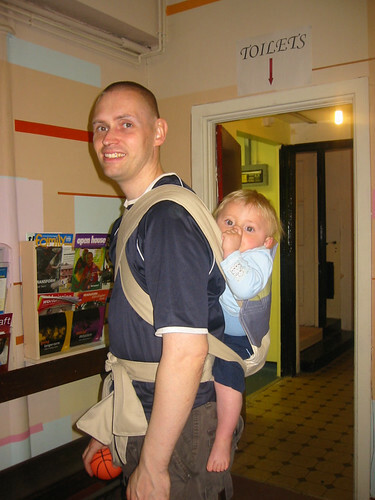 Wishing all our babywearing friends across Manchester and beyond a wonderful festive season, and a glorious 2012!